The third seasonal eMagazine for Made in Cumbria is out. 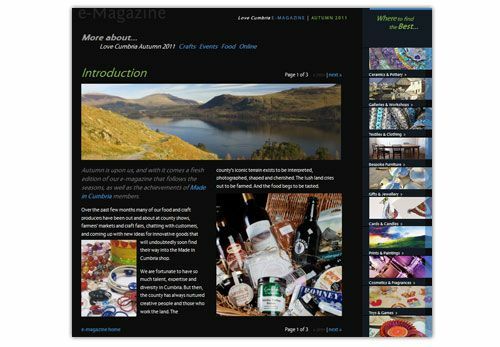 The eMagazine covers food & drink, crafts, events and the technology behind Made in Cumbria including the ecommerce site and app. We worked with Kirstie Pelling in creating the copy for the eMagazines. Each one had to reflect the season, explore the provenance of the produce and, ultimately, drive traffic to the ecommerce area of the site.